VERTICS has discovered and intensively tested forearm muscle compression in sports and transferred this know-how in calfs. 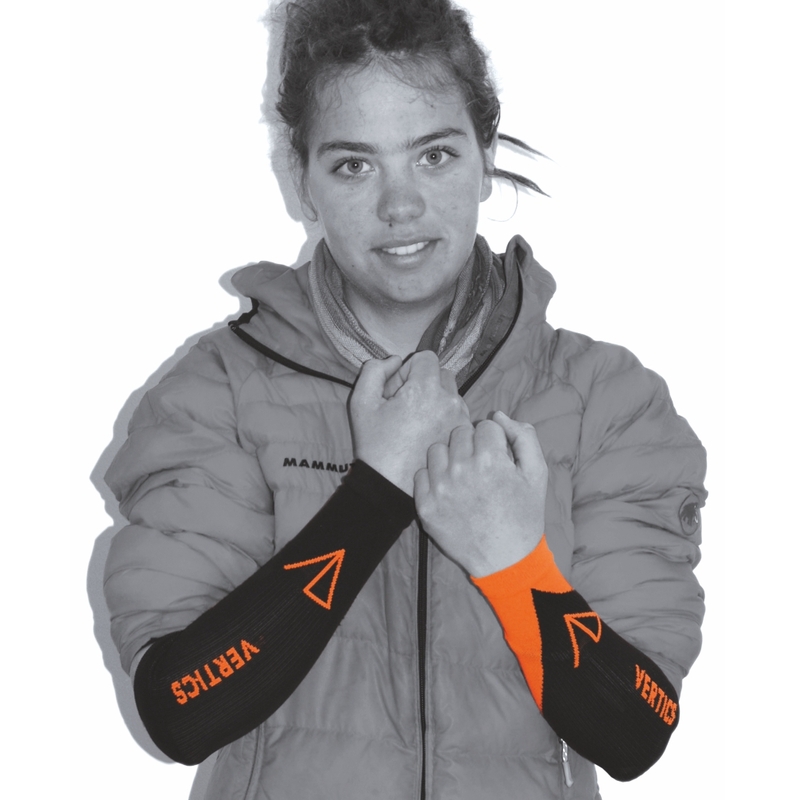 Get your VERTICS.Sleeves in our online-shop now! 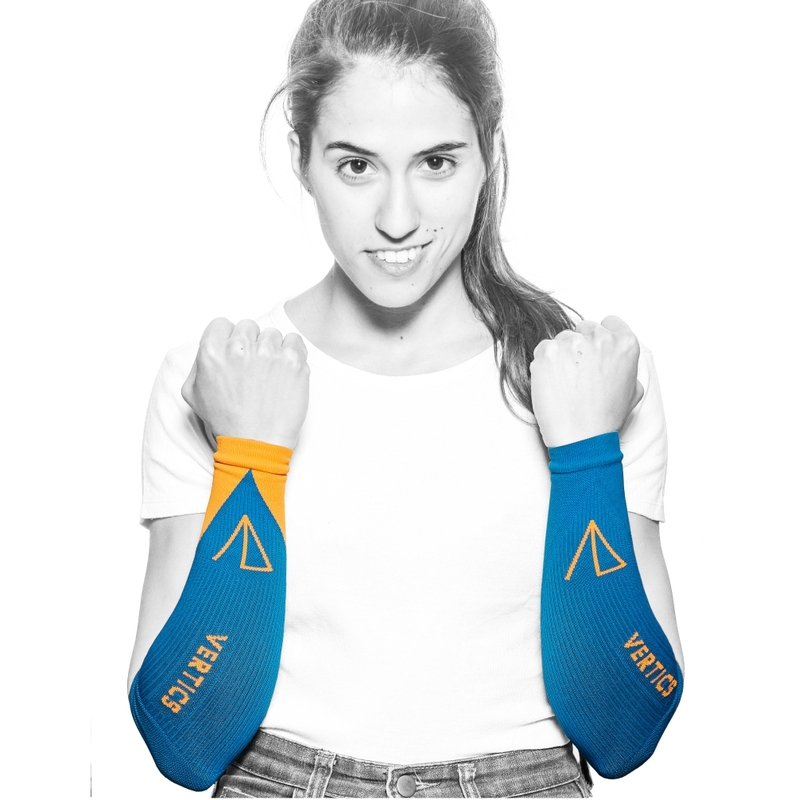 I love to try new things and runners are wearing compression socks for ages already, so why shouldn’t we climbers wear VERTICS.Sleeves for arms? 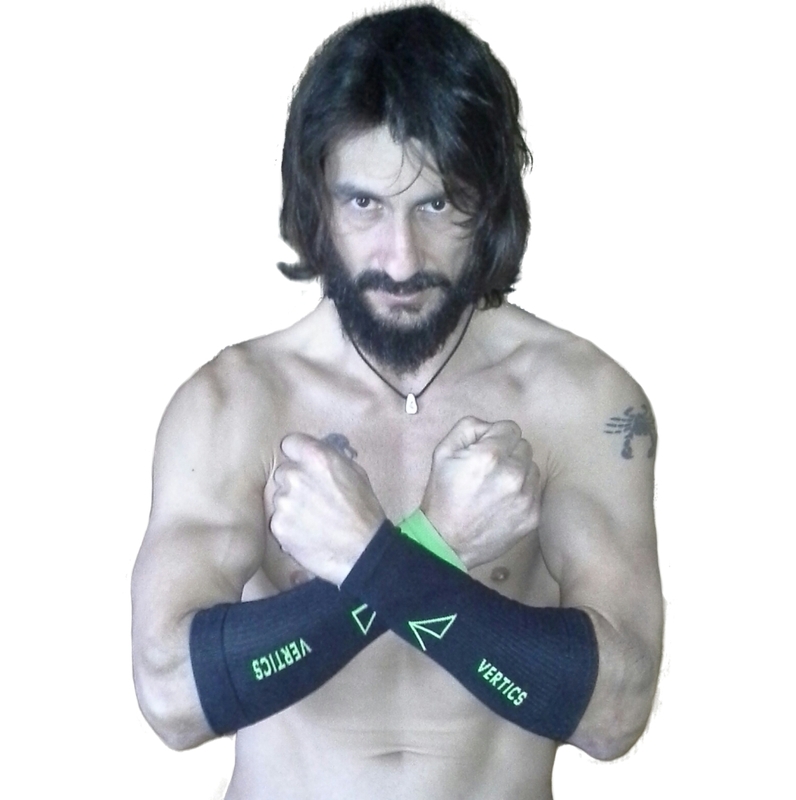 I will continue to use VERTICS.Sleeves for training in my gym. Thought up by climbers – brought up for climbers. As passionated runners and climbers, we had the idea to transfer the principle of operation of running compression socks to the climbing sport. Thought – done. 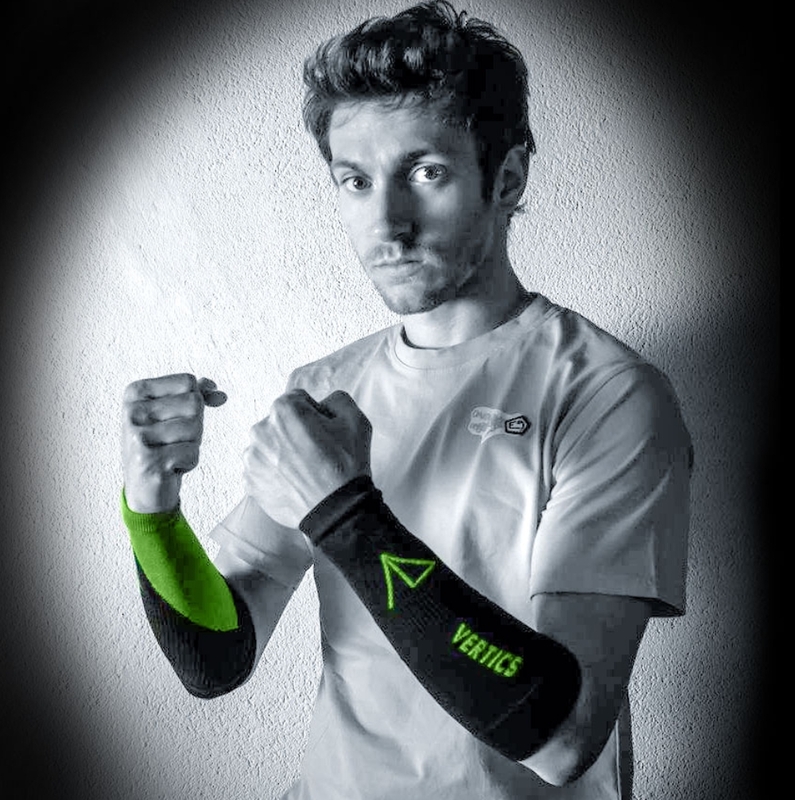 In teamwork with an experienced partner for orthopedic-technical knitted products, we developed a forearm cuff, whose compression effect is exactly balanced to the muscular pressure while climbing: VERTICS.Sleeves – a high-tech sport product, developed and produced in Germany. 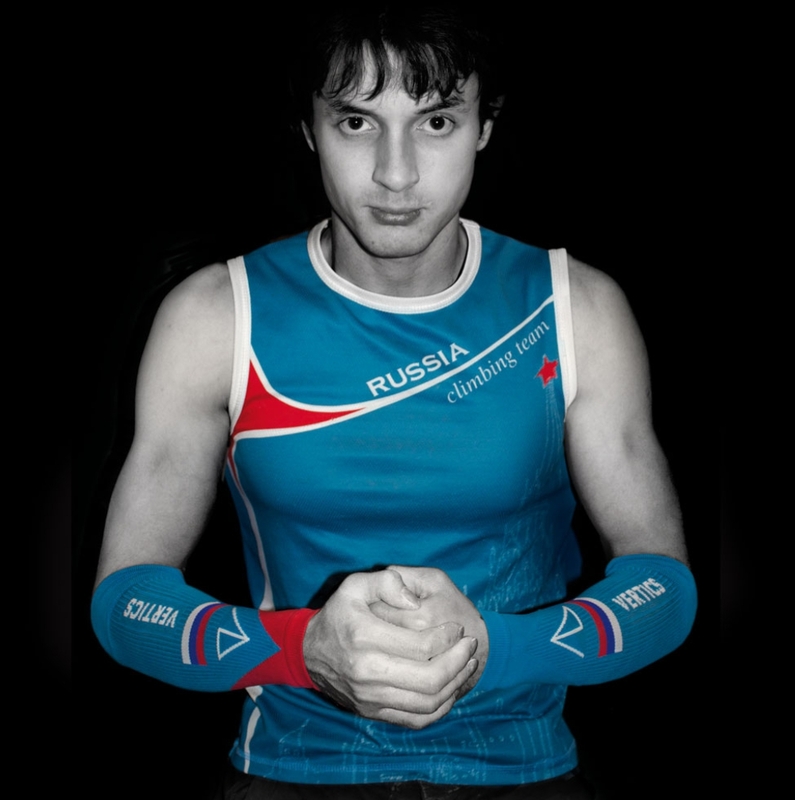 And not only for climbing sports, also in many other sports VERTICS.Sleeves find more and more followers ! The second-fastest way: Visit one of our promotion appearances in indoor climbing gyms, racing- and other sports events and try VERTICS.Sleeves right on Location. You can find us on hip climbing and racing events or on promotion tour at indoor boulder- and climbing gyms throughout Europe. Follow us on facebook! or look at our website. When you do, you will have all the actual appointments in sight and you can see when we are close to your hometown. Steffen Hummel is working as a freelance IT consultant for many years. In his spare time he is active really often in many sports. 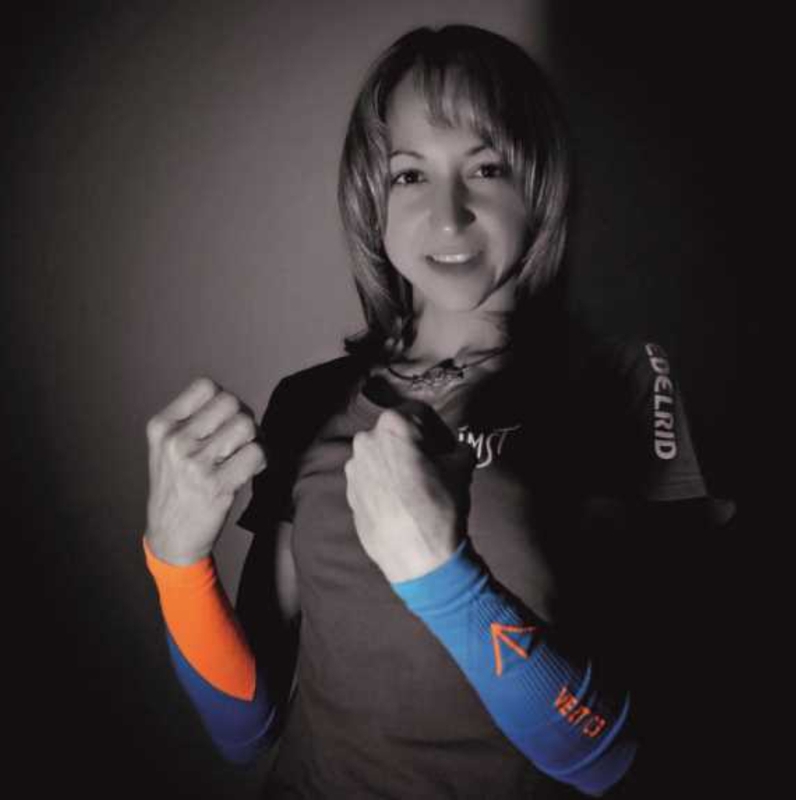 As a passionated runner and climber, the founder of VERTICS had the idea to transfer the principle of muscle compression stockings for runners to the climbing sports. In countless hours of development work and test climbing sessions, VERTICS.Sleeves originated. Do you have a climbing hall or a climbing shop? Then you can include VERTICS.Sleeves in your assortment. VERTICS.Sleeves can also be personalized, starting from a pair number of 50 per design and size everything is possible.